I’m absolutely ecstatic to be sharing Kundalini Yoga and singing mantra at EPIC Festival Marrakech 2019 for the Summer Solstice! This incredible International Festival will celebrate life with a fusion of dance, yoga, music and art. I’ll be sharing Kundalini Yoga and singing mantra 🎶 to open the heart ♥️ on Saturday 22nd June 2019 and raising the vibration of our soul sisters and brothers with a gong bath ✨ on Sunday 23rd June 2019. At European Festival 2019 I experienced my first encounter of ‘The Red Tent’. The Red Tent is a safe space for women to be together, to listen and be heard, to share stories, advice & just ‘be’ in a beautifully accepting space. I was intrigued. At the Red Tent I was invited to a ceremony for pregnant women to welcome their baby’s soul to earth. In the Kundalini Yoga tradition this happens on 120th day of pregnancy. A time to rejoice, and honour the mother through prayer, meditation, singing. This experience touched my heart deeply, my heart opened and my tears flowed. I felt resentment that society’s rituals seemed so shallow to me these days, we seemed to have lost the meaning, the authenticity and beauty in celebrating milestones in our lives and replaced it with consumerism and alcohol. Where did it all go wrong? But this sparked something deep in my consciousness. And sometimes life has a way of taking you out of alignment with your soul. I say life, but I mean sometimes YOU, ME, WE can all lose sight of our authentic path. Our own journey. Stress and commitments, expectations, habits, FOMO! Take us away from our souls purpose – and before you know it – BAM! Your that overwhelmed life feels like your trying to swim through mud. Comparison to others is a killer, and social media paints such a rosey picture of peoples lives – but what we’ll never know is what’s really going on behind that Valencia filter 😂 and what their struggles are, because really, most humans have them right? When I find I’m comparing myself to other people (another human dysfunction 😂) I remind myself every time the message I’m internalising is ‘I’m not good enough’ – and there is NO TRUTH in that. Remember everything you think and feel is energy, do you want to waste that energy feeling bad about yourself because of what others are doing? or feeling awesome about yourself and celebrating your unique wonderfulness and what you have to offer?! Your gifts? Your quirkiness! After a natter with my soul sister Samantha Surtees the wise woman she is, we discussed how life is constantly happening FOR us, yes disappointments will come our way, it’s how we CHOOSE to perceive it that makes the difference. And developing such a level of consciousness to always TRUST there is a bigger picture for you, one you may not understand in the present moment. Everything you have a strong reaction too is an opportunity to grow, and to learn about yourself. For this you need…. Begin wake-up and preparation for sadhana. Optional recitation of JapJi Sahib. Tune in with the three repetitions of Adi Mantra, Ong Namo Guru Dev Namo. Kundalini Yoga Kriya for 25 – 45 minutes. The Aquarian Sadhana Mantra Meditations for 62 minutes. Optional Hukam, or reading, from the Siri Guru Granth Sahib which contains a written form of the Shabd Guru. 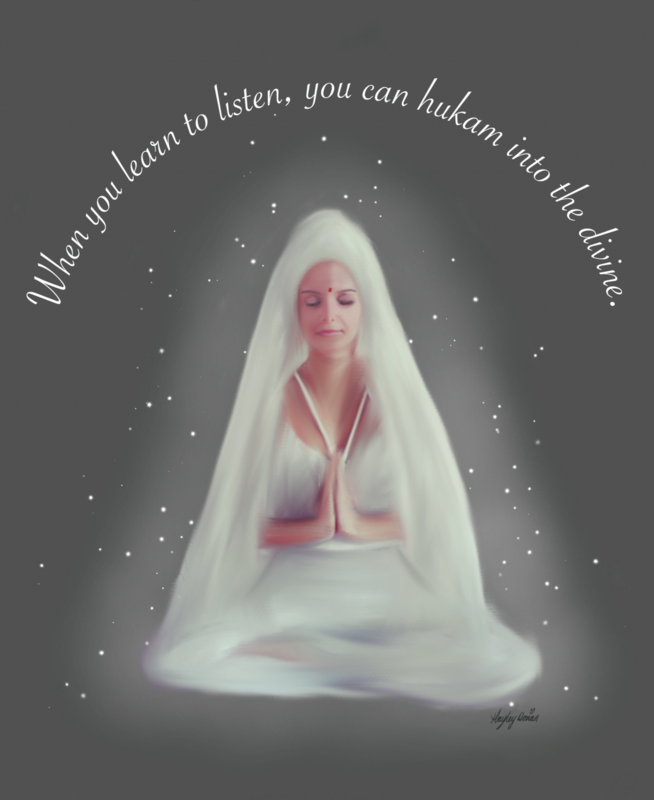 Kundalini Yoga Sailing Retreat 29th June – 6th July 2019. Devajeet Kaur in collaboration with Yogasailingtrip welcome you on board our luxury catamaran for this exciting adventure! Our 3rd destination takes us to the vibrant town of Hvar. Hvar is one of the most touristy places we will visit on our expedition. Known as the Queen of the Dalmatian Islands, it is rich in history, culture, arhitecture and natural beauty. The town and beaches are surrounded by lavender fields, ancient olive trees and vineyards. It was colonised by the Greeks 384BC which explains the Mediterranean feel of this beautiful island. According to the Hvar tourist centre, its said to be 1 of the 10 most beautiful islands in the world. Here you can explore the bustling streets, connect with the town locals, relax in a secluded bay, soak up the sun, culture and heritage. Hvar is said to be growing in its upmarket reputation with a number of celebrities spotted here including Prince Harry, Jay Z, Beyonce and Roman Abramovich (visit-croatia).